The festive party season is just around the corner and we’re sure you’ll want to impress clients, colleagues, and even your wife, at the exclusive events you’re attending. Well, at HKT Clothiers , we believe nothing exudes sophistication and looks better at a glitzy Christmas event than a custom made tuxedo. 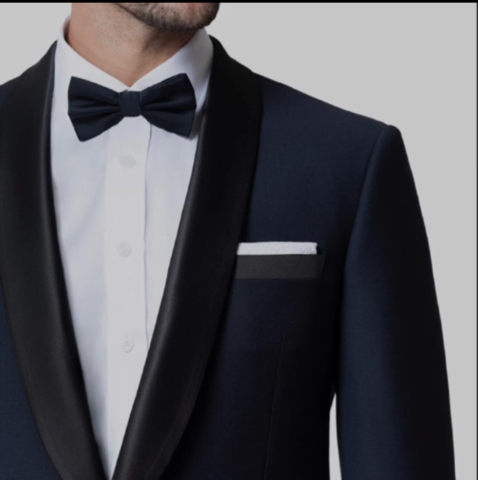 But before you call us to have the perfect party suit made for you, we thought you’d appreciate a comprehensive lowdown on the tuxedo and all the options you might want to consider. Why should I buy a bespoke tuxedo instead of something off the rack or a rental suit? Of course, the other color of tuxedo you may have seen a lot of in films, or worn by celebrities, is the white tuxedo. In our opinion, this is a look that’s definitely best kept for a formal themed party or wedding – or if you’re in the habit of picking up an Oscar. That’s because it can look a bit cliché (even tacky) at the wrong event, and it’s a style that even makes some of the look like they should be serving cocktails on a cruise ship. An alternative, and more flamboyant, option to wool is velvet & mohair. This choice really exudes finesse and elegance, and is definitely a fabric that will help you stand out from the crowd. Velvet looks particularly good in non-traditional colors such as green, red and blue, although a handmade black velvet tuxedo is a personal favorite of ours. This shirt should ideally be plain white and have a turn down collar or wing collar, with the turn down being the traditional choice for a tuxedo. Your shirt should also have a rectangular panel running up the front of it which features or a dimpled pattern called marcella. Well, it has to be a bow tie, of course – and preferably a real one rather than a pre-tied one (check out this on how to tie a bow tie). 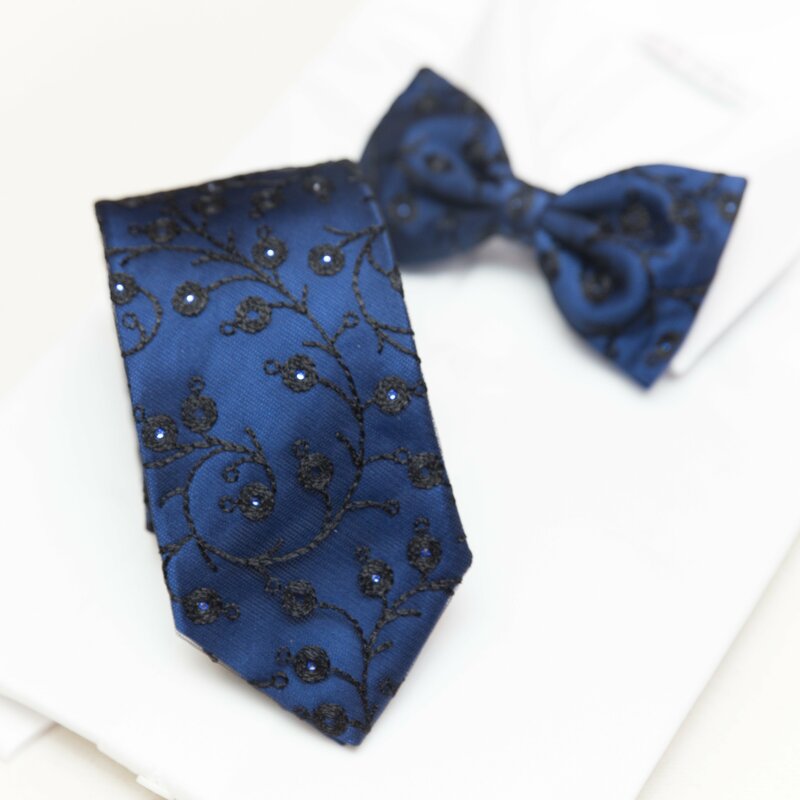 But did you know that there are quite a few different styles of bow tie to choose from? Main shapes include the butterfly, batwing, diamond point and rounded club. Take a look at this guide to view them and see which shape you like. So there you go, our rather exhaustive guide to tuxedos. We hope you’ve found it helpful and have a clearer idea of what you need to consider when getting a custom made tuxedo created for you. Although, of course, our team at HKT will be more than happy to discuss all your options and recommend what will work best for your physique, coloring and character. So please get in touch with us on 770-458-8682 or team@hktclothiers.com to book an appointment with one of our style consultants. We’d really love to create a tailored tuxedo for you that will make you feel and look like a million dollars.